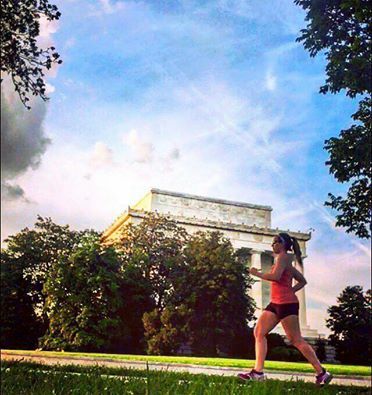 June is the runner’s unofficial start month for fall marathon training. Usually every June starts with an abrupt wake-up call when the first 80+ degree day hits and I begrudgingly realize that sleeping in is no longer an option if I want to escape the heat and also that 16-18-20 weeks comes quickly. While my training for the New York City Marathon (omg!) doesn’t technically start until the first week of July, I’m already sort of looking ahead to what I want out of training this year. While I’m never truly out of training– I feel like I always have something on my plate that keeps me on the trails– my approach to running is sort of like turning 30. My wild crazy days of running races that I didn’t truly train for are behind me. I’m not blowing my paycheck on race entry fees or costs for out-of-town races. I wanted to run as many new races as possible because there are so many to experience, but I don’t have this urgency of needing to run all of them in one year. I have nothing to prove anymore. And I am starting to realize that training is a big responsibility and staying healthy throughout is incredibly important. I’ve had the benefit of a few close calls to teach me that strength-training, eating for recovery, and getting quality sleep literally every single night is how I will be able to stay young and keep my goals intact. As a runner, I’m definitely growing up. Hood to Coast Relay Race: Yes, I am running “the mother of all relay races” in August and I’m so excited I can’t even realize it’s coming up really fast. After running the hills of the 2015 Baltimore Marathon, I realized that I was inadequately prepared to take on those inclines in a marathon. So, while I will “only” be running about 16-18 miles in this race, I know that I need to be as prepared as I possibly can for some wicked elevation. I’ve been working to add squats, lunges, and other lower body strengtheners to my routine because this race will have the ability to derail my entire racing season including New York if I am not ready for it. Air Force Half-Marathon: In 2013, I was registered to run the Air Force Marathon but had to drop out because of a friend’s wedding that was scheduled for that same day and because I was in my 10th month of unemployment. It’s always felt like unfinished business to me. While I won’t be there for the marathon, I realized that if I ran 3 service-related races between 2015 and 2016, I could earn the “Ultimate Warrior” medal. The catch is that I would have to fly to Dayton, Ohio and run that race on Saturday morning, fly back to DC that afternoon, and run another half-marathon in DC the next day…. Navy-Air Force Half-Marathon: So, in September, I will be running two half-marathons in two different cities in one weekend. If I do, I will earn the “Ultimate Warrior” medal. Do I think this is nuts? I just hope I can pull this off, logistically-speaking! But I’m also excited for it, so that must mean I am on the right track here. New York City Marathon: I still can’t believe I finally get to run this race, my second World Marathon Majors race. What does this mean? It means I can finally stop entering the lottery every December. It means I can stop checking my bank account in agonizing impatience every spring. Well, right now, that’s what this means to me. I’ve been trying for 4-5 years to get in (I lost count of how many attempts), and now I get to run it. I keep saying that I want a 4:00 marathon. I’ve been saying it for years, and I have been right there for many races. I still remember looking at my watch at mile 13.1 of the Baltimore Marathon and seeing 2:05. I still remember thinking that if I kept up my pace or ran a little faster in the back half, I could actually pull it off. And then I broke down. NYC is going to be a hard race. It is a hard race– I know from other people who have run it. It’s going to require that I get comfortable with being uncomfortable. I will have to be on the Staten Island Ferry at 5:30AM. I don’t even know when I will be able to start my race. New York City, I feel, will be the hardest marathon I will ever run because of all the things that make me uncomfortable about it. So I need to work on my mental game this year. I will be training the same way I trained for Baltimore by varying my paces. I have not actually decided on a training plan. Given what comes before this one, I may take it down a notch on miles and focus on what is feasible. Whatever I decide, I just need to keep my head and heart in the game and learn how to overcome my mental barriers. I’m looking forward to my 2016 fall race lineup, mostly because I am ready to take my running into adulthood so to speak. I am ready to be smart, to listen to my body, to prioritize sleep and fueling right, and to learn how to accept the challenge of discomfort. I no longer want to do the bare minimum and hope it works. I don’t want to beast mode it either and burn out either. I want to execute good form with every run and find a way to run without injuring myself (seriously, please God, let me have an injury-free season!) But most of all, I just want to appreciate that I get to do this and run every time with gratitude and respect for this sport. I can’t wait to see where I am in 6 months.